The large dimensional range in which disc springs are made requires very different production methods. 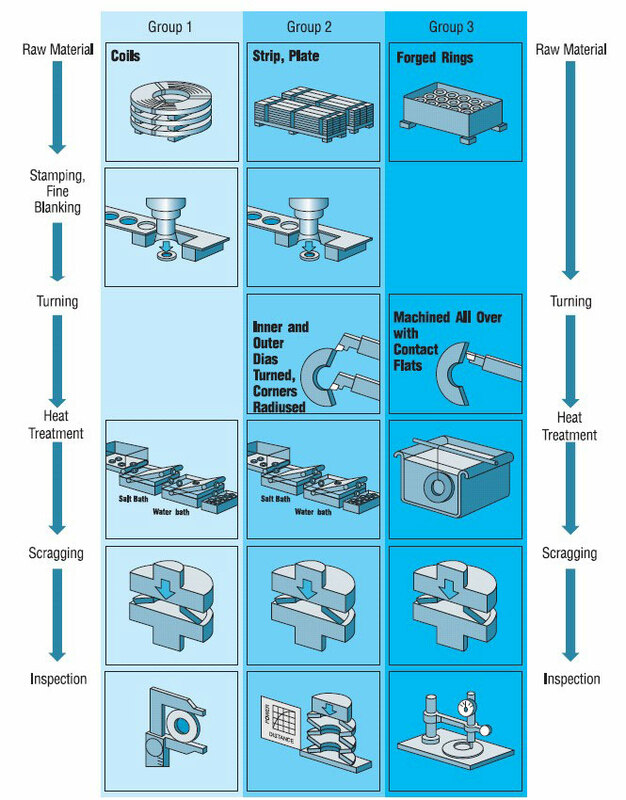 The methods employed range from simple stamping and stamping with extra machining to hot forged and rolled rings, which are turned or ground to obtain their final shape. All disc springs as per DIN 2093 and our factory standards are made to these requirements. Special sizes are also assigned to the appropriate group if production is possible or no other production method has been agreed upon. The manufacturing process is shown schematically for the three groups in figure 27 below.